Style: Classic, Chic and all things Sleek. 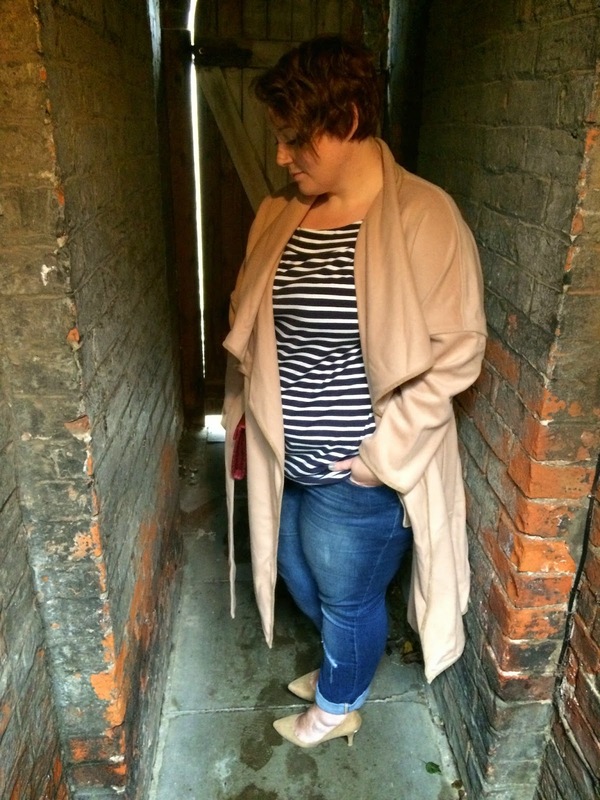 There's not many garments that scream classic styling as much as the camel coat, and it just happens to be in fashion at the moment too. 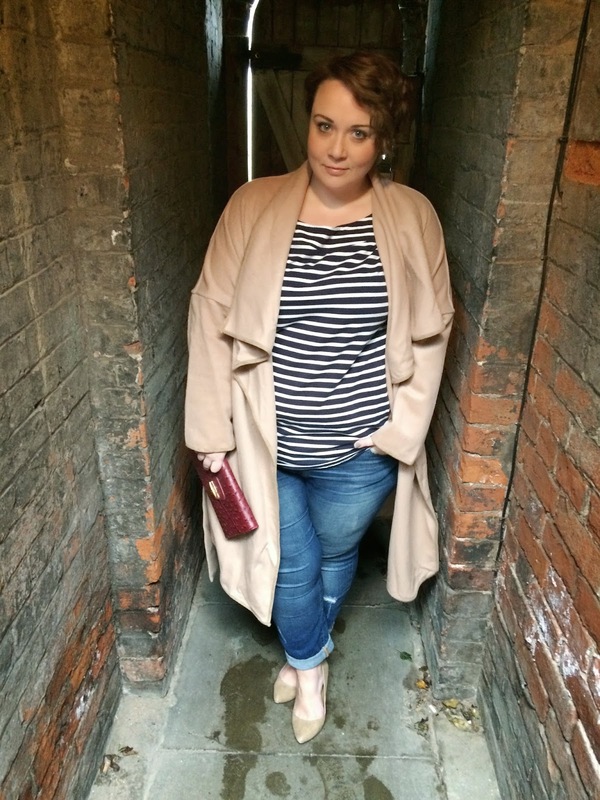 I was so excited when this coat arrived, I've been lusting over it for weeks now. And I knew exactly how I was going to style it. I wanted to go classic, it deserves a classic laid back look. 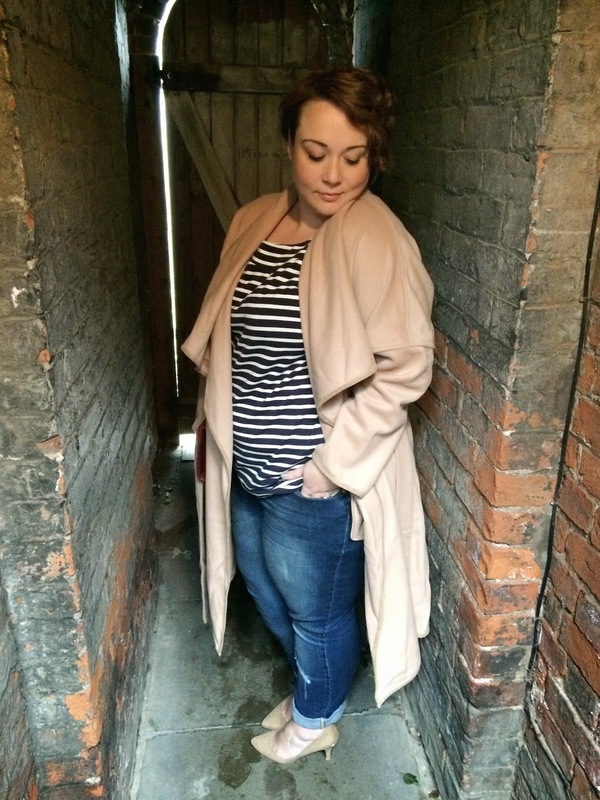 It is absolutely tipping it down here in Grimsby so I had to hide in our alleyway for the pics, but I think they've come out okay! 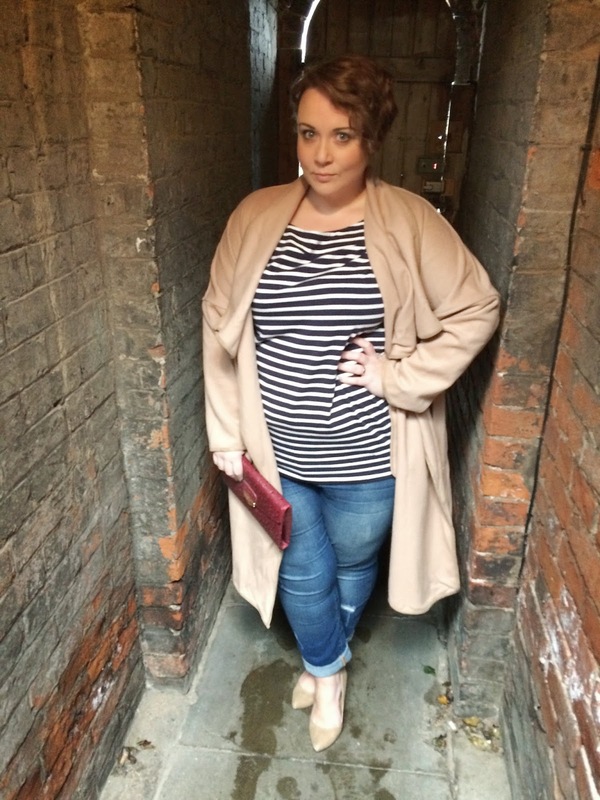 I've style the coat with a classic navy breton stripe t-shirt, boyfriend jeans, heels and contrasting clutch. 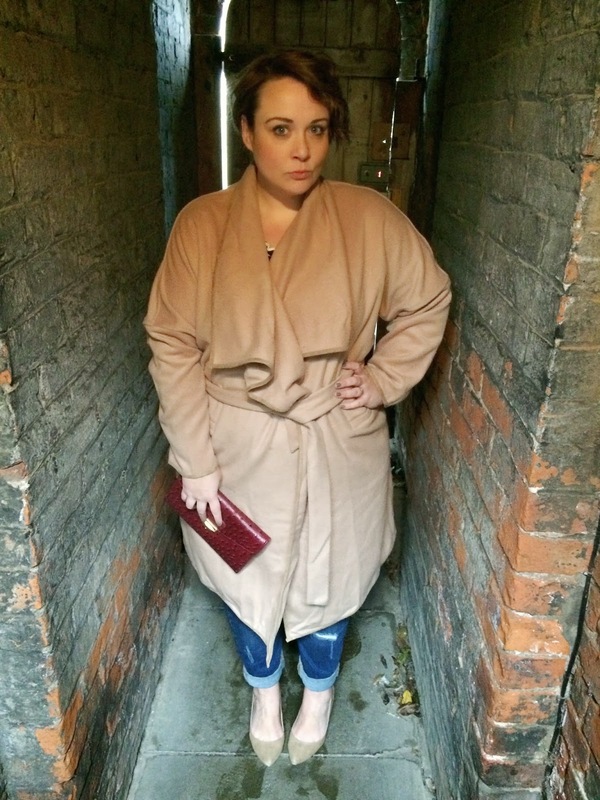 The coat is a size 22 and runs true to size. It's a soft wool/poly mix and despite the rain, it's perfect for this time of year as it isn't lined so you're not going to get too hot. 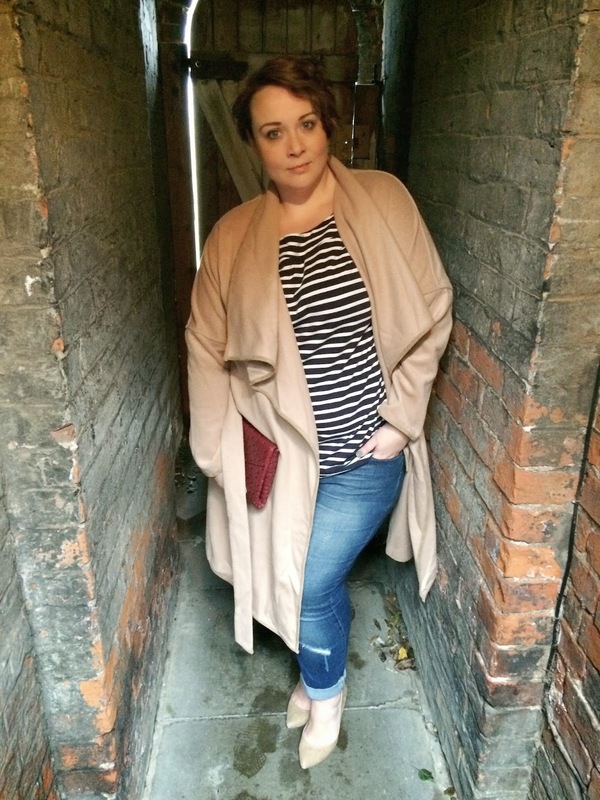 It's quite a loose, unstructured coat which I really like, I can throw this on with jeans and trainers or over a dress and heels and it's going to look great either way. The breton top is the perfect addition to this outfit. I sized up to a 24 but I really didn't need to (I should probably stop doing that!) It's really soft and comfortable. This is pretty much my perfect outfit. It's grown up but not old fashioned. It's smart but casual. It's comfortable but not sloppy. I'd like to wear it every day please? The * denotes an item sent to me for the purposes of review. That coat is GORGEOUS! I may have drooled a bit! It's so great isn't it? I'm in love! 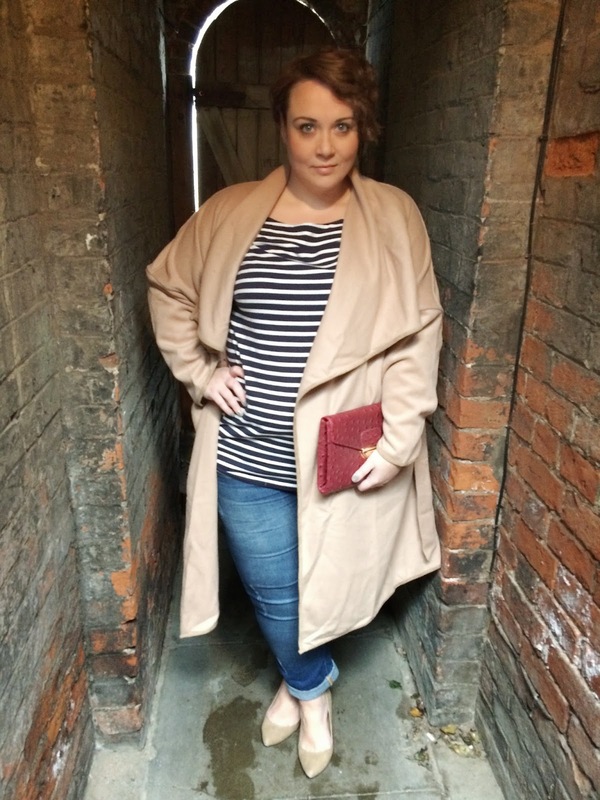 Love the coat ... and it looks so chic paired with the ripped jeans and breton stripes.